The season is here and just a few days away! The sounds of the holidays are here and filling the air with cheer. 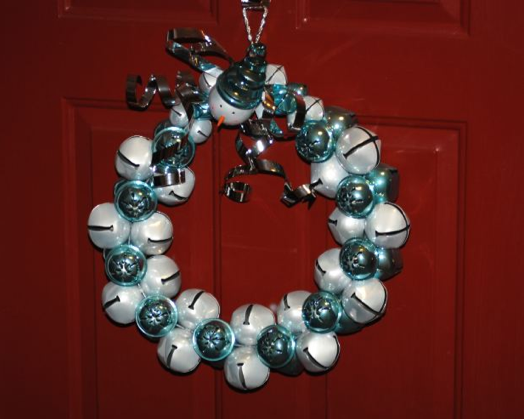 If you have extra jingle bells and ornaments around, gather them together and glue them to a Styrofoam wreath. Hang your wreath where people can hear it! (For example, on a door) And bring the jingle jangle of those bells into your home!